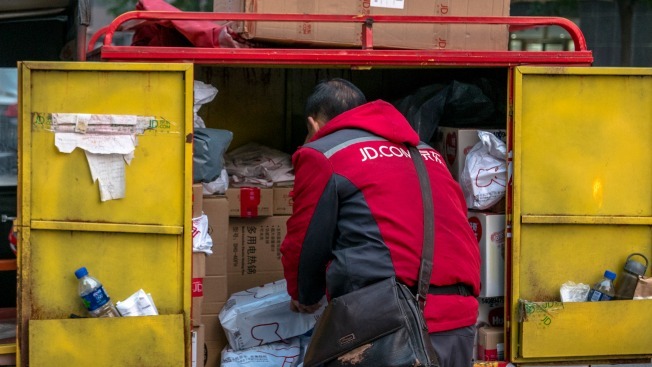 A JD logistics staff is delivering goods during Double 11 special sales holiday. November 11 (also referred to as Double 11) is popularly described as 'China's anti-Valentine's Day' and the world's biggest 24-hour online shopping event, first launched by Alibaba and followed by other e-commerce players like JD.com. According to a new survey, 56 percent of more than 1,000 internet users in China said they would increase spending compared with 2014. China’s e-commerce giant Alibaba has passed its record halfway through its Singles’ Day shopping event, NBC News reported. In the first eight minutes of this year’s sale, the company generated more than $1 billion in sales. Last year, it took 17 minutes to hit that mark. Alibaba said it hit more than $9.3 billion in gross merchandise volume. It said it surpassed the $2.4 billion sold on Cyber Monday, the largest online sales day in the U.S.
Singles’ Day is known as the world’s largest 24-hour online shopping event, and falls on Nov. 11 every year. It was created in the 1990s as a way to celebrate single life.